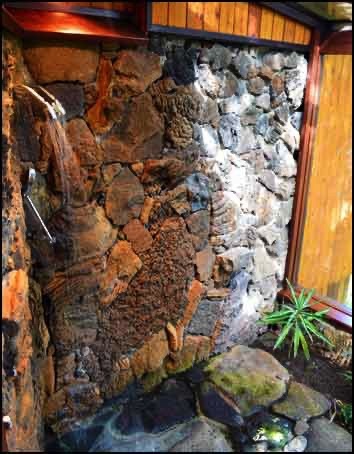 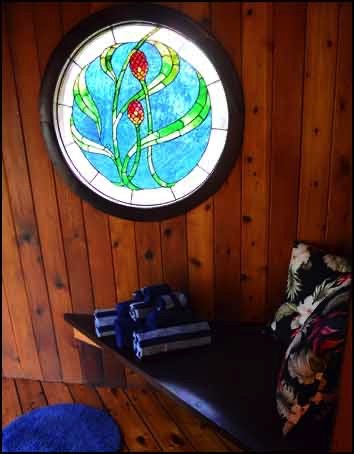 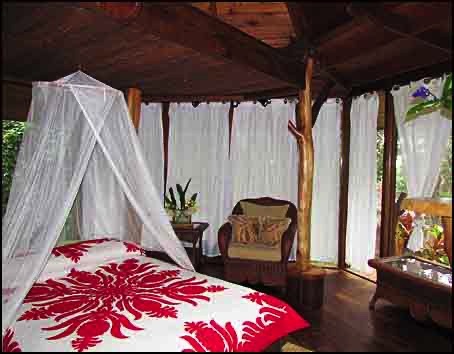 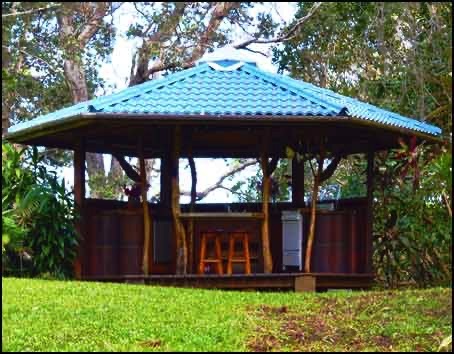 Features an octagon-shaped sleeping house with native ohi’a log posts, floor-to-ceiling windows to take in the views of the forest, and hardwood floors. 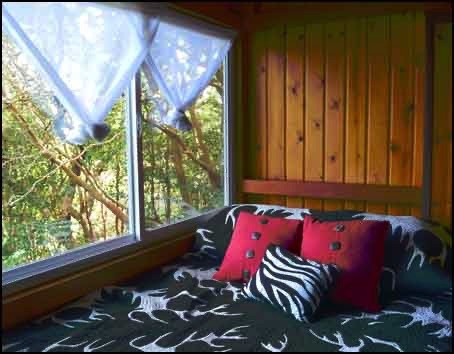 This room includes a full-sized bed and additional space in the loft for reading or lounging. 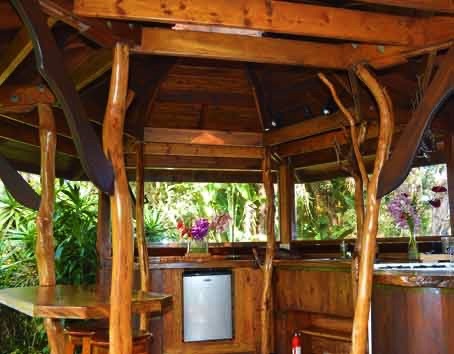 A covered, open-air kitchen complete with a sink, propane-powered range, mini refrigerator, basic cooking and eating utensils, and a small eating area. 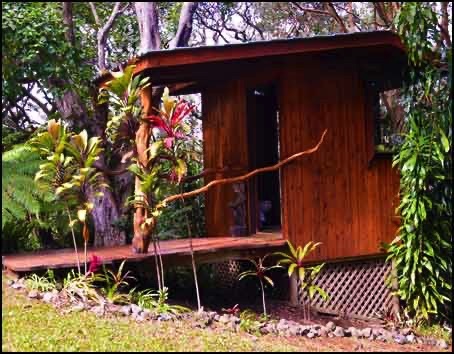 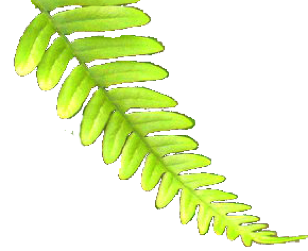 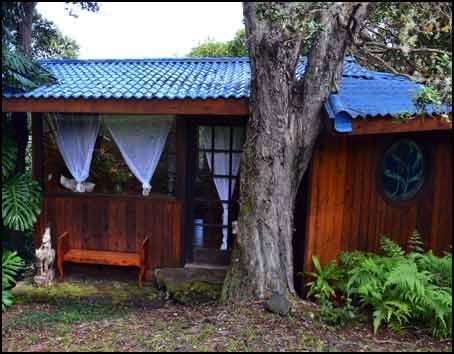 Consists of a small building with a toilet and sink, and large windows over-looking the forest.